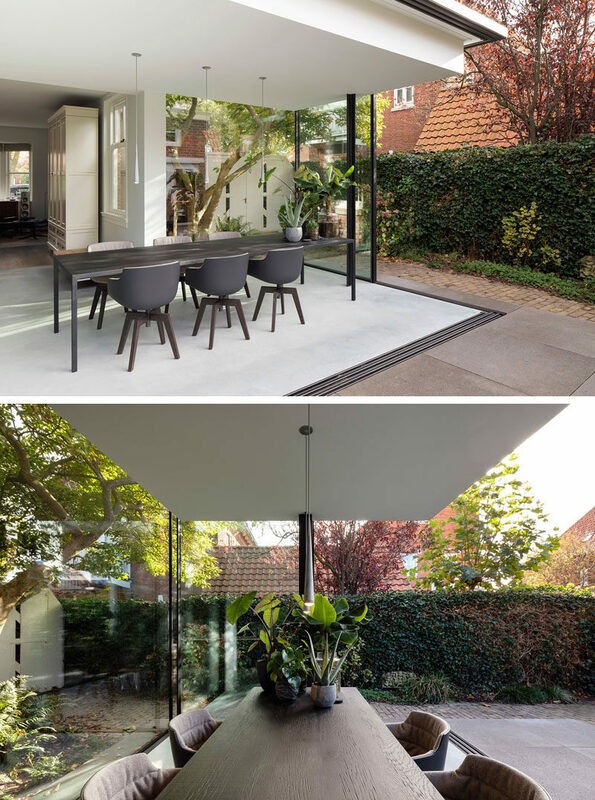 Bloot Architecture have designed a minimalist house extension in The Netherlands, that contrasts the brick architecture of a 1927’s house. 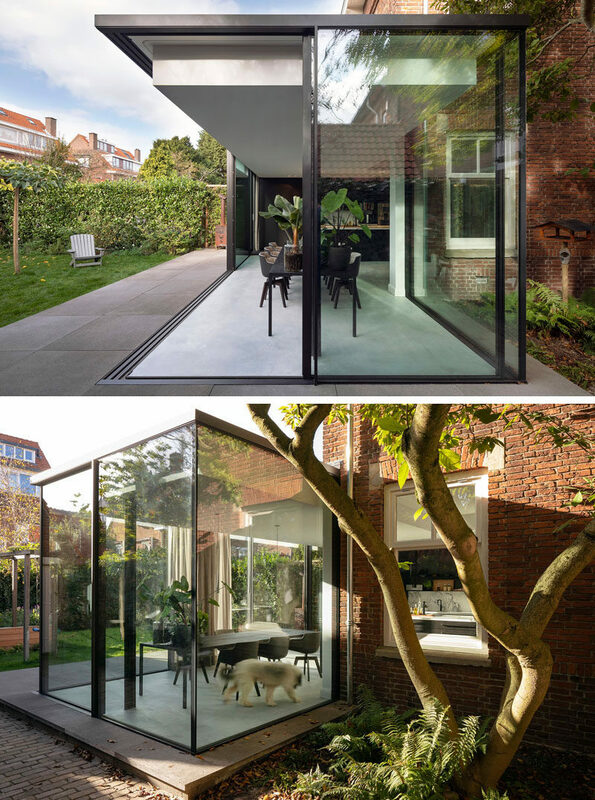 The architects used retractable glass walls, so that the fig tree in the backyard could easily be viewed and enjoyed, and the natural light could be enjoyed year round. 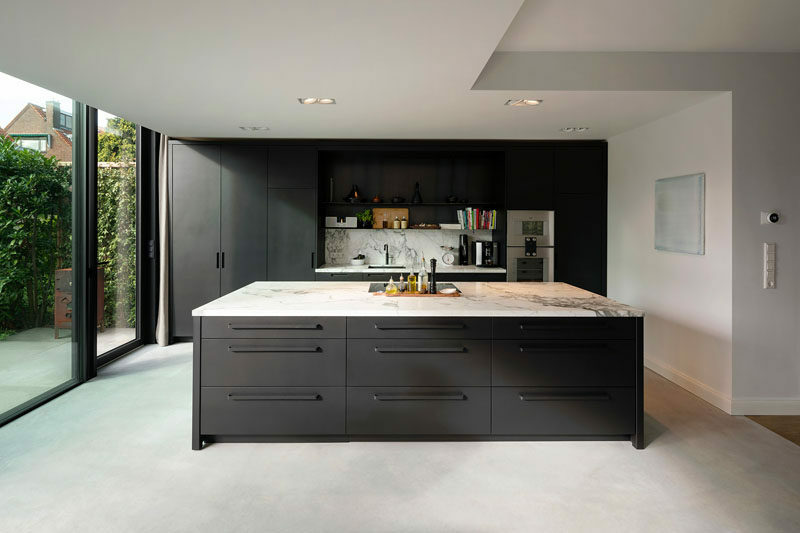 A new kitchen was created inside the extension, and the dark cabinetry is a strong contrast to the white walls, ceiling, and light concrete floor. 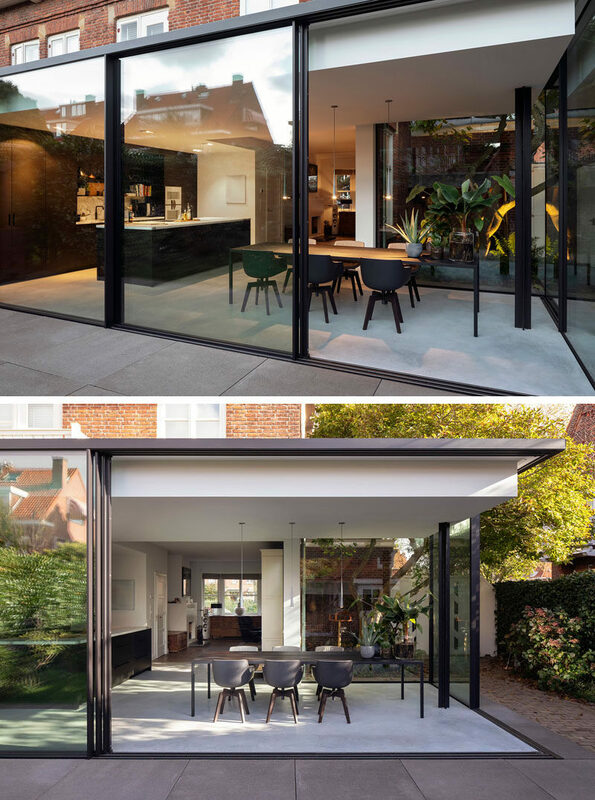 Adjacent to the kitchen is the dining room. 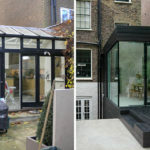 When the glass walls of the extension are open, the home owners now have a semi-enclosed outdoor space that allows them to enjoy the back garden. 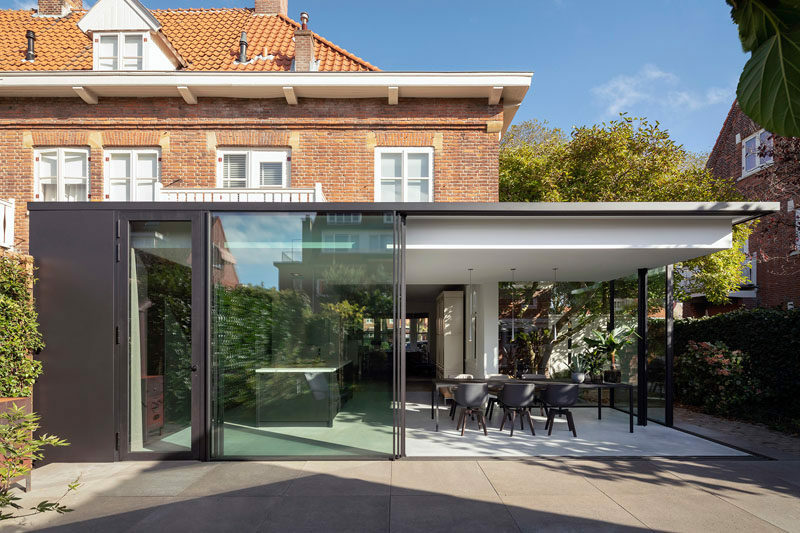 The fully glazed facade has a minimal roof ledge, and from the inside, there are virtually no visual barriers to the outside. 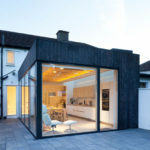 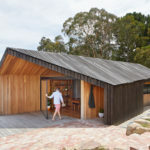 The construction of the extension is kept out of sight but for one plus-shaped column, which makes the roof of the extension appear to float.